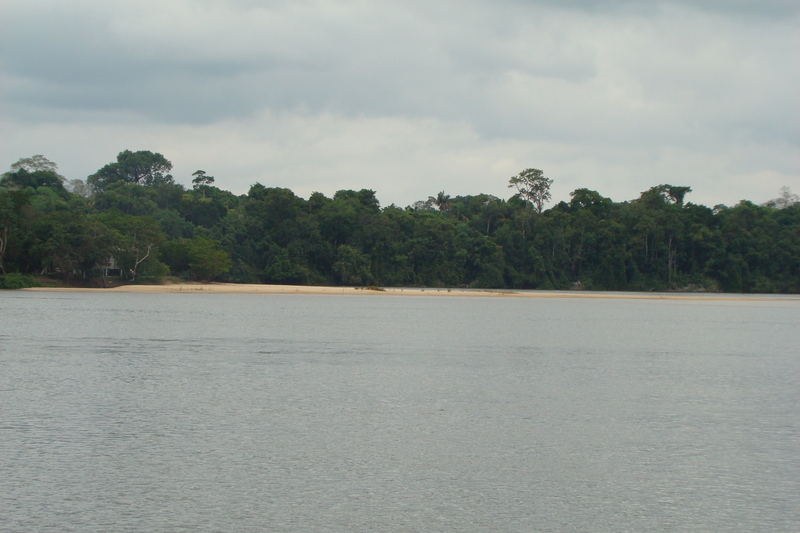 In closed-canopy tropical forest understory, light availability is a significant determinant of habitat diversity because canopy structure is highly variable in most tropical forests. Consequently, variation in canopy cover affects the composition and distribution of plant species via creating variable light environments. Nevertheless, little is known about how variation in canopy openness structures patterns of plant–animal interactions. 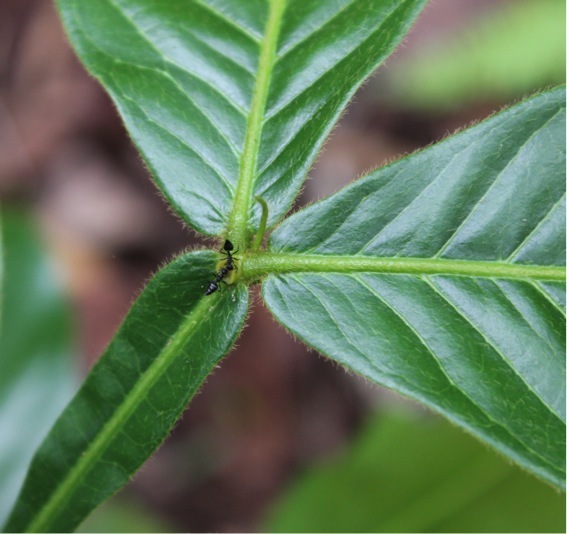 Because of the great diversity and dominance of ants in tropical environments, we used ant–plant interactions as a focal network to evaluate how variation in canopy cover influences patterns of plant–insect interactions in the Brazilian Amazon rain forest. We observed that small increases in canopy openness are associated with increased diversity of ant–plant interactions in our study area, and this change is independent of plant or ant species richness. Additionally, we found smaller niche overlap for both ants and plants associated with greater canopy openness. We hypothesize that enhanced light availability increases the breadth of ant foraging sources because variation in light availability gives rise to plant resources of different quality and amounts. Moreover, greater light availability promotes vegetative growth in plants, creating ant foraging ‘bridges’ between plants. In sum, our results highlight the importance of environmental heterogeneity as a determinant of ant–plant interaction diversity in tropical environments. Figure 2. 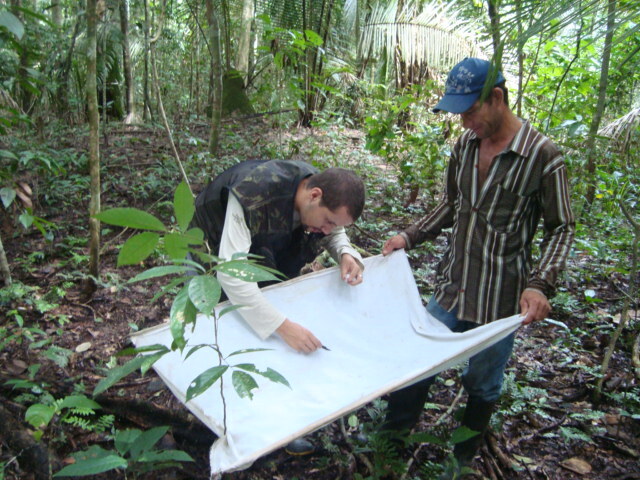 Wesley Dáttilo and his field assistant Roberto Stofel recording ant-plant interactions. Figure 3. Workers of Crematogaster sp (Myrmicinae) feeding on an extrafloral nectar of Inga sp (Mimosaceae).